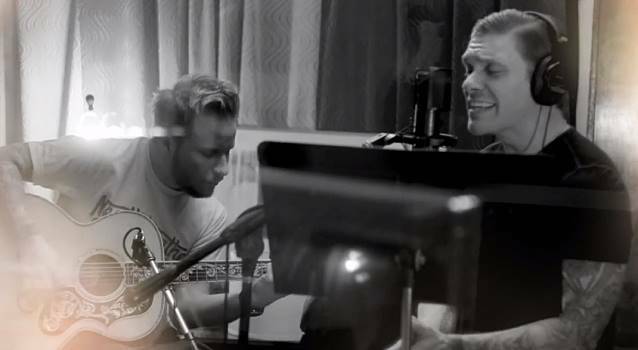 Shinedown members Brent Smith and Zach Myers have released their 6 song covers EP under the name Smith & Myers. The EP which is available now through I-Tunes and other digital retailers features covers of Metallicas “Nothing Else Matters”, Kenny Wayne Shepherds “Blue On Black”, Soul Asylums “Run Away Train” and many more. Below is a performance of Metallicas “Nothing Else Matters”.